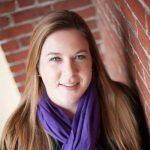 Ashley Schlaefli — owner of AIRE SBS — is certified in a number of accounting technology systems including Gusto (formerly Zen Payroll), QuickBooks Desktop, QuickBooks Enterprise, QuickBooks POS, and QuickBooks Online. She also offers small business solutions, bookkeeping and accounting services, custom marketing plans, web development services, and more. Work For AIRE SBS? Claim This Page.